The ailing computer maker, Hewlett-Packard, announced a brand new iOS app with remote management and printing capabilities. 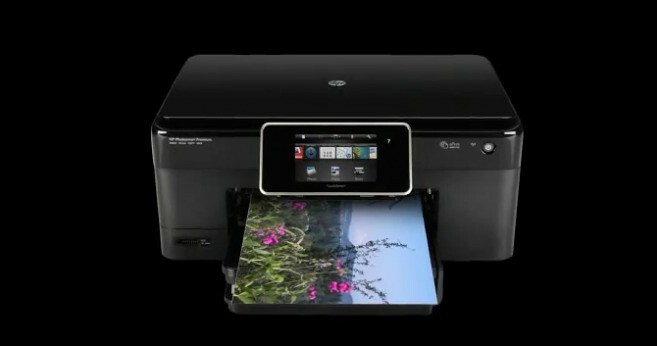 In addition to the usual assortment of features ranging from automatic printer discovery and setup, printer status notification, remote ink/printer status and troubleshooting cartridge identification, HP Printer Control turns your printer into a two-way communications device with scan to Facebook, scan to Google Docs and scan to email capabilities. The app works with most ePrint-enabled Photosmart, Officejet and LaserJet printers released in 2011 and is available for iPhone, iPad and iPod touch running iOS 4.2 or later. The app wasn’t on the App Store at the time of this writing. HP also supports Apple’s AirPrint technology on select printers and has recently rolled out AirPrint compatibility to eight new LaserJets. By the way, don’t try opening the official PDF document in Safari or Preview – it appears garbled. Chrome renders it properly, though. Kinda makes you wonder what was HP thinking here, even with the bigger worries on their mind. Official release notes below. HP Printer Control allows users to access and control their HP printer from anywhere, through a robust and simple mobile experience. HP Printer Control makes printer management easier and more convenient for those who are on the move or not always situated next to their printer.